Hammond Ashley Violins believes in the importance of a strong musical community at every scale- from the local to the global. 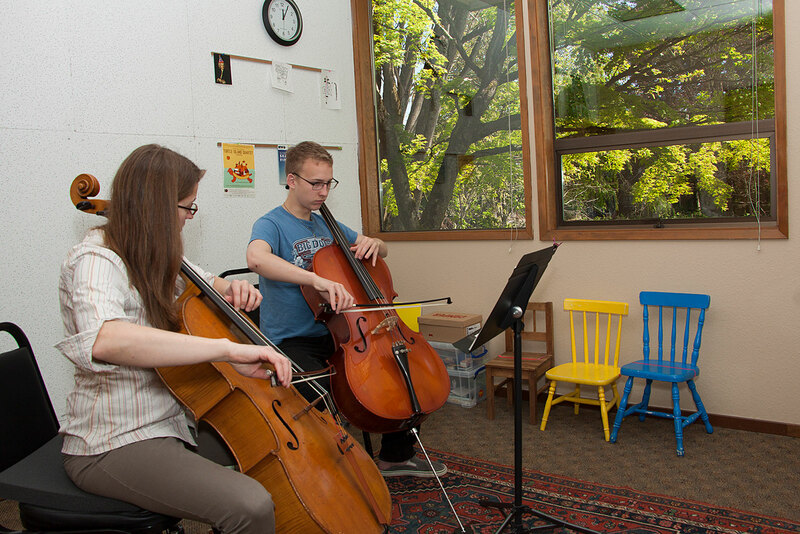 We are committed to endeavors which help ensure the vitality and longevity of string programs of all kinds. Over the past forty years, our Seattle shop has supported professional, community and youth symphonies from all over Washington State. 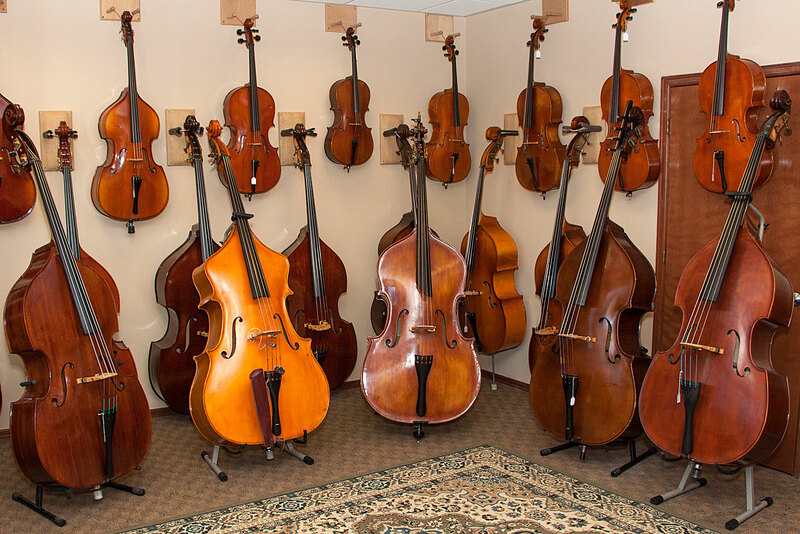 We invite you to visit our store where you will find a large selection of violins, violas, cellos, basses, their bows, and accessories. Our staff will provide you with personal attention answering your questions about products and service, assisting you with comparing insutruments and accessories, and showing you our facilities. In our workshops, instruments are professionally set up and adjusted to play easily and sound their best. Every instrument and bow has been handpicked, setup, and then tested for playability and sound by us. Our workshops are able to provide on-site adjustment, service, and warranty to the instruments we sell and rent. We provide the best customer service in the business, which is why most of our business comes from referrals by satisfied private teachers and their students. Let us help you. We have a passion for finding the best fit for each of our clients. Because of our large inventory, you can select several instruments within your price range and compare them. Our store provides a relaxed and comfortable setting for you to audition your selections. Instruments can be compared in our store and taken home when you find what you are looking for, taken out on an approval period without commitment to purchase. This allows you to evaluate the instrument in your home and to obtain the opinion of colleagues or your private instructor. Thank you very much for helping us find the violin for our son Andrew. We had an amazing experience in your store! 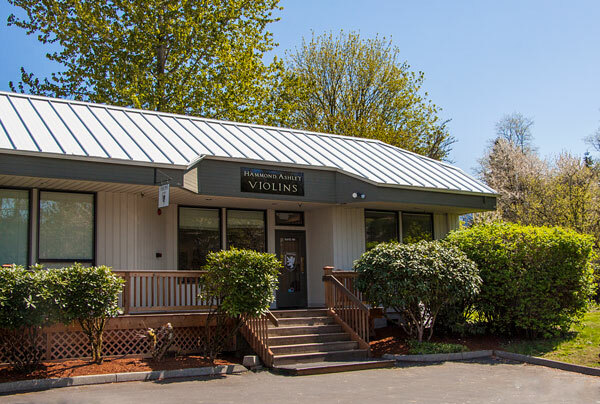 Aaron Rutten’s stellar customer service and knowledge of violin, music background made us feel like a VIP, and Bryce’s warm welcome and help were so appreciated. Sorry we always showed up around 5:30pm time because my work schedule, but Aaron always very professional, patient and such a people person. He gave us his honest opinions on the violins and he was not pushy at all. He left us alone in a room all the time we needed to try out the instruments and make a decision. We’re very pleased with our purchase and the service was perfect! I’ll recommend Hammond Ashley to all of my friends. Bryce, I wanted to thank you for taking such great care of me and helping me find the right bass. I am so happy with my bass and how it sounds! It is getting a lot of compliments and the bass is playing great! I was inspired by my visit to the shop and was wondering if you guys ever put on workshops or do any internships for set ups and learning about basses and repairs? There is absolutely no one that set up a bass like you guys do around here and I would really like to get educated in that area. Also, I am almost 100% sure I am coming out for the Bass Workshop in June and I am really excited! Thanks again for all your help and I look forward to hearing from you if you can get around to it. Just wanted to let you know how much I'm enjoying my violin since I got it back after your work-over Sound-post/bridge adjust, tailpiece,ect. No more e-string misbehavior and improved tonal response top to bottom. It's like getting that new, razor-sharp edge on your favorite old chisel and taking the first trial cuts. Plus silky smooth tuning pegs and looks and feels "detailed". Sweet! Dialed in! Very impressed with the attention to detail and attentive service. When we wanted to buy a violin for our daughter and we looked at few places and we visited Hammond Ashley with the plan of spending no more than 15 minutes at the store. Things have dramatically changed with the service that was offered by Aaron with in the few minutes of our interaction. He showed us few violins and offered very helpful advice in choosing the right violin and he has spent lot of time with us in answering each and every curious question that we had for him. After we identified the violin Aaron brought us few bows to try and he has played for us in order to help find the right bow for the Violin. Aaron did not put any sort of pressure on us and he wanted to make sure that we try the Violin for a week at home to see if the violin would work us. While we were returning back from the store I and my wife have decided not to purchase our Violin anywhere else except from Hammond Ashley after the service we received from Aaron. In case if the trial violin is not going to work, we thought of trying other Violins at Hammond Ashley and our thought process has so much locked into Hammond Ashley! Our initially planned 15 minutes at the store turned into 2 hours! If it was not for Aaron’s service we might have been kept looking and looking. Our heartfelt thanks to Aaron. We can't wait to make our future purchase at Hammond Ashley again! The bass is great! Better than it has ever been, like a whole different instrument. Thanks truly. Thank you EVERYONE at Hammond Ashley for always taking such great care of me and my students at Pine Lake! Bryce, I appreciate you taking the time to visit Pine Lake to help with my cellos. Matt, Dave, and everyone else, you are so willing to help every time I stop by, and you are all so kind! I appreciate you all! Thank you for all you help with buying a violin (and bow and case) for our daughter on Jan 14th. Aaron was extremely helpful! My daughter’s teacher said she could not have picked out a better violin herself. I picked up my rehaired bow on Friday...Matt helped me out. He was great too! I want to thank you and Hammond Ashley for your marvelous work. I am thrilled with how it turned out. I haven't played in years - my violin has been in the closet almost 35 years! Now I can't put it down! I'm so grateful. Thanks for the work on my Alcoa. Played last night to a standing room only crowd and never sounded better! Action feels good and no buzzing, etc I'll think about changing strings over the next couple months. Again, really appreciate your work! Hammond Ashley Violins is a reliable and friendly store. My daughter had her violin fixed there in a timely manner, done expertly by them because she has not had any trouble since then and this was done three years ago. Thank you for the opportunity to recommend them. Hammond Ashley Violins is an amazing company to work with. They promptly got me my instrument and made sure it was the right one I wanted. This family owned business is the only shop I will purchase from. Thanks to the staff and owner for the great job you do! Just the nicest and most knowledgable people in town. I came in a week ago with my bass, a hybrid christopher with a center seam crack, having driven all the way from Portland, Oregon. I just wanted to let you know how much I appreciate the fine work you did on my bass (it is sounding and playing amazingly right now) and especially for making sure to do the work within the day so I could bring it home that evening. You exceeded my expectations and reminded me why I brought the bass all the way up to Issaquah, rather than having someone fix it here in Portland. Again thanks so much! Many many thanks for letting the Young Artists Symphony use your beautiful recital hall for their chamber music recital yesterday. All of the kids played well, the audience was appreciative, and everyone was very impressed with your facility. I expect it will draw new business to your shop. 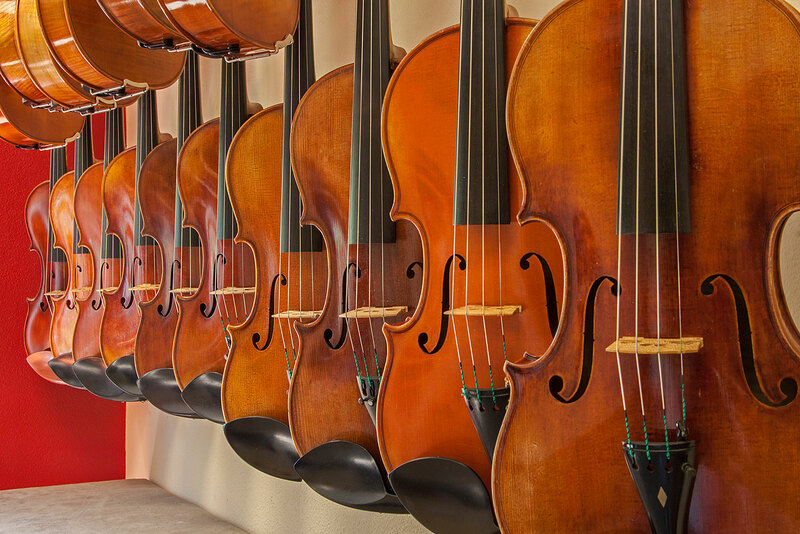 The event stimulated me to renew my search for a better viola and bow and your shop will be at the top of my list when I'm able to resume the search. Thanks again. Thank you for your assistance in hosting the Bellevue Youth Symphony Orchestra Debut East orchestra at your business during the 2008-2009 school year. It has been a wonderful experience for us, the eastside children and hopefully for you as well. Your help, guidance and assistance with these arrangements helps our organization in giving the children in our communities the opportunity to be exposed to and experience the arts through their instruments. We look forward to continuing our relationship in the future. It was a pleasure recently doing business with you and Hammond Ashley Violins. The purchase of an intermediate viola for each of my 2 children was definitely the right thing to do given their commitment level. The assistance we received from you and Elizabeth on instrument and bow selection helped what seemed like a drawn-out decision quite enjoyable for both parents and players. Allowing us to take many different instruments home on loan to try over time definitely established personal preferences and a confident final selection. The Hammond Ashley policies on rent credit, service guarantees, loaners, future trade-ins and your genuine interest in finding the right instruments for our budget impressed us. We look forward to continuing our relationship and recommending Hammond Ashley Violins to other students. I'm very happy with the work done on the bass; it really opened up the sound across the entire spectrum and is smooth in the transitions from lower to upper tones. Since the work, it lost it's slightly nasal tone on the upper end and instead is rich and full and sings beautifully. The lower register has much more punch and fullness and the E string now has a wonderful growl. The A string was always the stronger of the strings but now it blends and fits with the rest of the strings and the sustain is remarkable especially in the lower registers. My name is Massimo Clavenna and I'm the doublebass player from Festival Strings Lucerne who performed in Fallbrook CA last month..... using your WONDERFUL instrument. 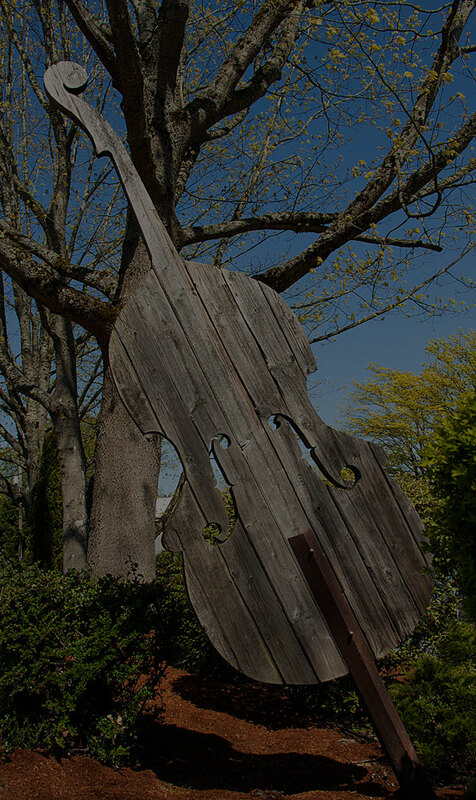 I thought it would have been almost impossible to find a 5-stringed doublebass on the Pacific Coast (I know that almost every player prefers using "extention" of 4th string), so I was very glad when I saw such a good crafted instrument. I was even more glad when I PLAYED it!!! The sound was smooth but full-bodied and the response fast without being aggressive (as often happens in freshly made instruments); it was a very good instrument and I'll remember it for the rest of my career! I'd like to express you all my gratitude for your support: without that making the concert in Fallbrook would have been impossible.